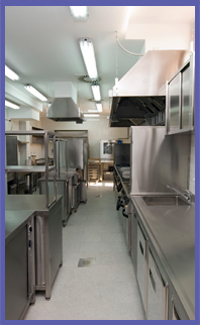 Supreme Cleaning Services offer specialist deep cleaning services for commercial premises. We have built an exceptional reputation for delivering the very best professional deep cleaning to offices and all kinds of commercial units. Our fully trained cleaners work efficiently and to the highest professional standard to give your premises a superb deep clean. With us you can trust we’ll make your working environment a clean and healthy one you’ll love to work in. WHAT MAKES US YOUR NUMBER ONE CHOICE FOR COMMERCIAL DEEP CLEANING? At Supreme Cleaning Services we pride ourselves on the quality and efficiency of our cleaning. We can undertake a site survey and highlight any problem areas and offer solutions and guidance to keep your commercial space running safely in line with health and safety legislation. With our deep clean we’ll make sure every corner and crevice is cleaned to an exacting standard at a time to suit you. We care about your environment as much as you. WHY OPT FOR A DEEP CLEAN? Daily or weekly cleaning schedules are an important part of keeping the work environment safe and clean. However, there are many areas outside of the scope of the daily clean where grease, grime and dirt build up. Deep cleaning needs to be tackled by skilled specialist cleaners. Our cleaners are fully trained to remove dirt and grime from all of those hard-to-reach places. An orderly, clean and tidy workspace has been proven to increase productivity, boost morale and reduce absenteeism. Cleanliness affects health. A build-up of dust, and dirt can trigger allergies and harbour germs, which may ultimately affect your employees’ health, and even impact on your customers. In addition, deep cleaning prevents excessive wear and tear to your building and its furnishings, saving you money in the long term. Call us now on 01322 384500 (Kent) or 0203 092 4777 (London) or 07774 606171 (mobile). We’d love to hear from you and discuss your deep cleaning needs. Let our professional cleaning team take the pain out of your deep clean and bring a shine back to your commercial premises. We know you’ll be absolutely delighted with our work. Get in touch today for your no obligation quote.